Call of Duty: Modern Warfare 3 seems to have launched relatively hitch free, but the persistent online stat tracking service Elite seems to be staggering under the weight of all of those new users. Attempts to log in to the service (which has both free and paid options) through the console and PC is sometimes met with error messages. Once signed in successfully, the service shows blank stats for me, saying I haven't played a single match yet. And it sounds like I'm not alone.But don't worry, Beachhead Studio head Chacko Sonny says, your stats are still being tracked as they trying to get things up and running. We are proud to say that Call of Duty: Modern Warfare 3 has launched and millions of people are already playing online. 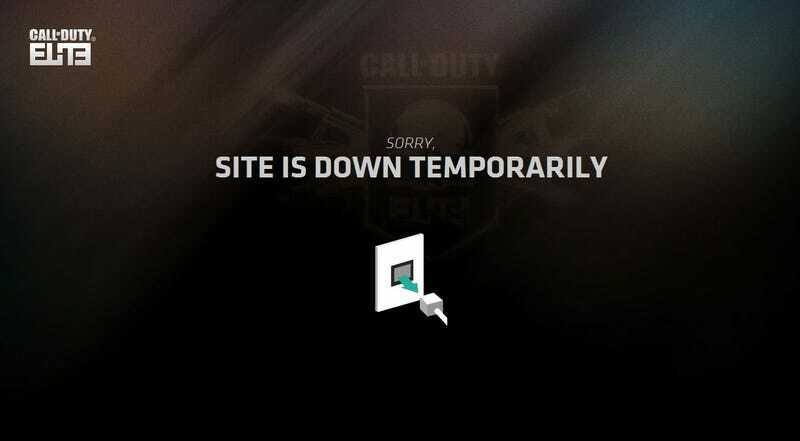 Registration requests for our new live service Call of Duty Elite are exceeding even our most optimistic expectations, which is creating a bottleneck and some players have not been able to register. We have already registered hundreds of thousands of players and we are working around the clock to increase our capacity as quickly as possible. If you encounter this issue, please check back here or follow us at @CallofDutyElite on Twitter for live status updates. Please be assured your gameplay data is safe and that whenever you successfully register for Call of Duty Elite, all of your data will be waiting for you. So enjoy the game, start ranking up and we assure you we are working around the clock to accommodate every player who wants to be a part of Call of Duty Elite as quickly as possible. We will update you frequently to keep you informed. The status page, we're told, will give updated info on just when Elite becomes stable.